When people make the reckless decision to drive drunk, it takes a serious toll on society as a whole. Drunk drivers show a blatant lack of reasonable care for the safety of others and no one should have to pay the price for their negligence. Our legal team here at Warren & Associates, LLC understands the destruction that drunk driving can cause and we have assisted counted of families who have suffered from this first hand. If you have been injured in a drunk driving accident or you have lost a loved one as the result of a drunk driver, then we can guide you on your relentless pursuit of justice. We have seen the pain that drunk drivers can cause to others and we are committed to helping your family through this difficult time. Let us seek the total amount of compensation that you are entitled to under the law. 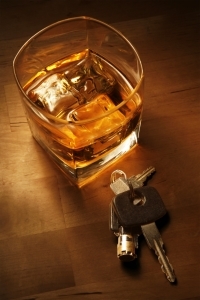 Injured in a drunk driving accident in Walker County? Speak with a Walker County car accident attorney from our firm immediately! In Alabama shop owners, restaurant managers, bars and other commercial alcohol suppliers can be held responsible for some of the drunk driving accidents that occur. By cutting people off or stopping them from driving home, a fatal accident can be prevented. Commercial suppliers should be responsible in these situations and take action in order to save lives. Find out if a supplier can be held liable for your drunk driving accident under the dram shop laws. Contact our firm today to see if you have dram shop case! In order to get the full amount of compensation that you and your family deserve, don't try taking on the insurance companies on your own. Speak with a Jasper car accident attorney from our firm today for assertive legal advocacy in your case. Here at Warren & Associates, LLC we take pride in offering highly regarded customer service. We believe that you deserve nothing but the best and we want to help you in reaching the best possible outcome in your case. We have been representing car accident victims in Jasper and Walker County for over two decades and we know how to deal with the insurance companies. We are a premier personal injury law firm and we provide honest and trusted legal counsel when people need it most. We are proud members of The American Trial Lawyers Association and the Alabama Association for Justice. Let us protect your rights and pursue justice on your behalf. Contact our firm today to request a free initial consultation by calling (205) 221-1044. Speak with Walker County car accident lawyer John Warren today to get started on your case!